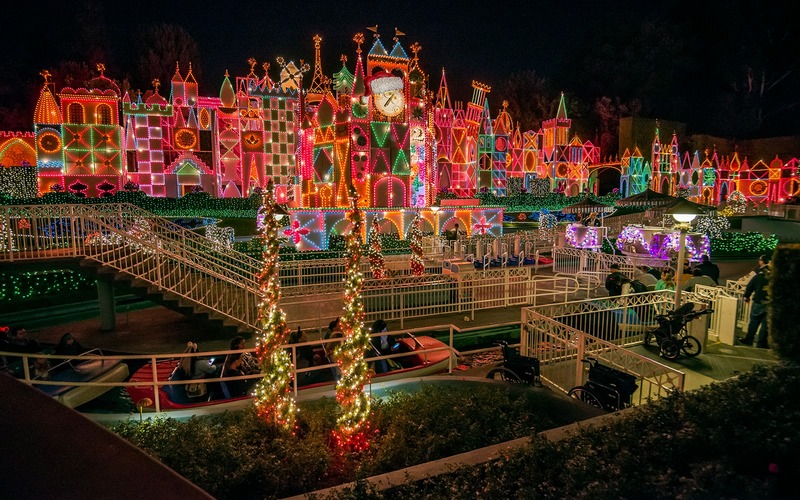 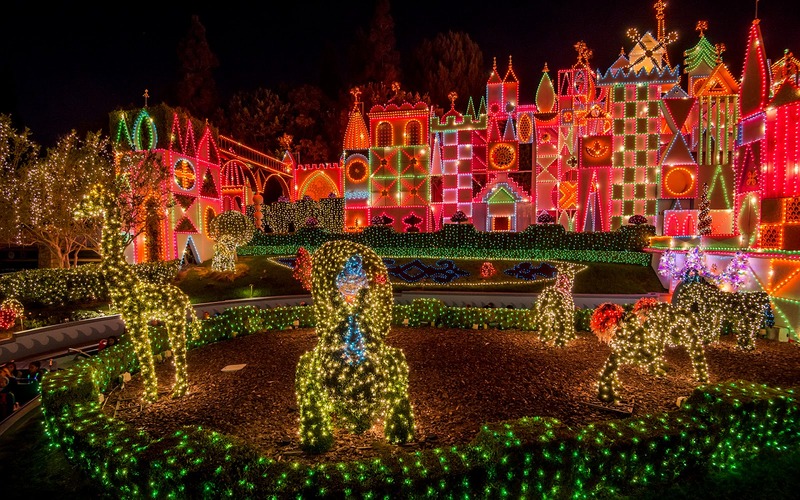 It's a Small World Holiday Edition is a tradition in absurdly bright and super saturated colorful Christmas lights. 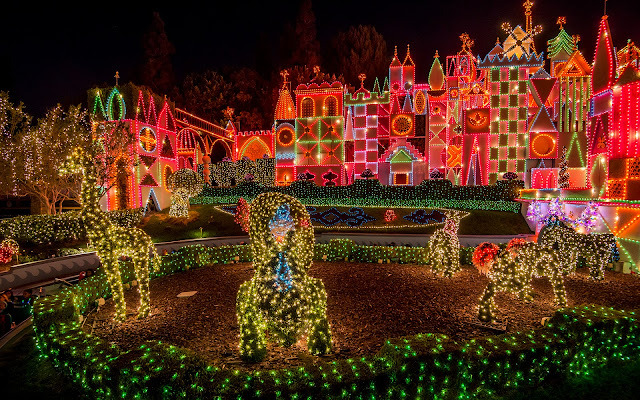 It's Disneyland's best version of the now-defunct Osbourne Family Spectacle of Dancing Lights at Disney Hollywood Studios, which painted building facades with vibrant illumination. 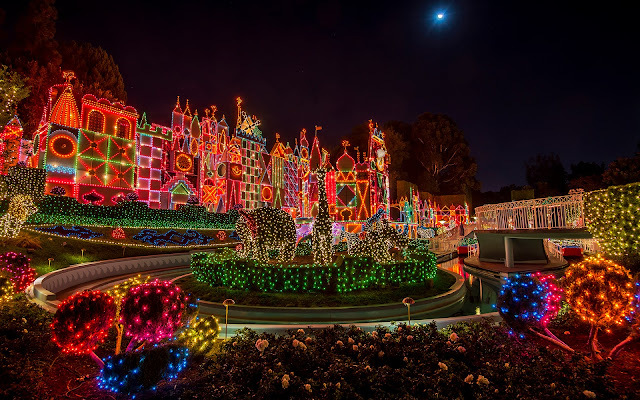 This makes the scene very fun to photograph, since there's so much going on, and provides a classic atmosphere for Christmas lovers every year. And it's also about the only time I willingly ride It's a Small World, because being a lover of the holiday spirit, I actually enjoy the noel version of this classic attraction!